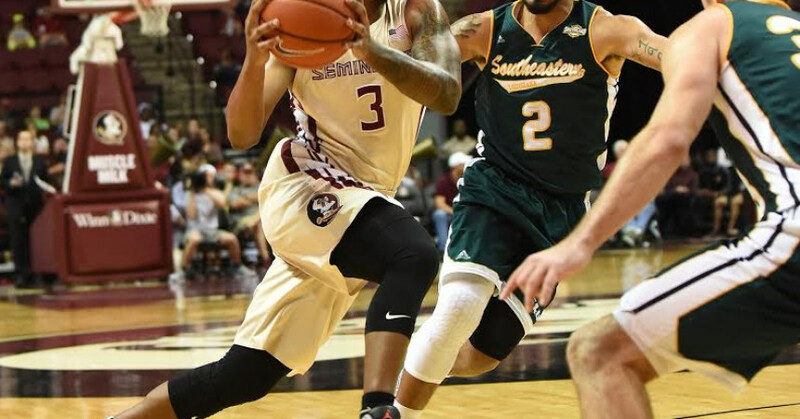 Benji Bell, a former standout player in the Panhandle Conference, had his breakout game for FSU with and 18-point performance. 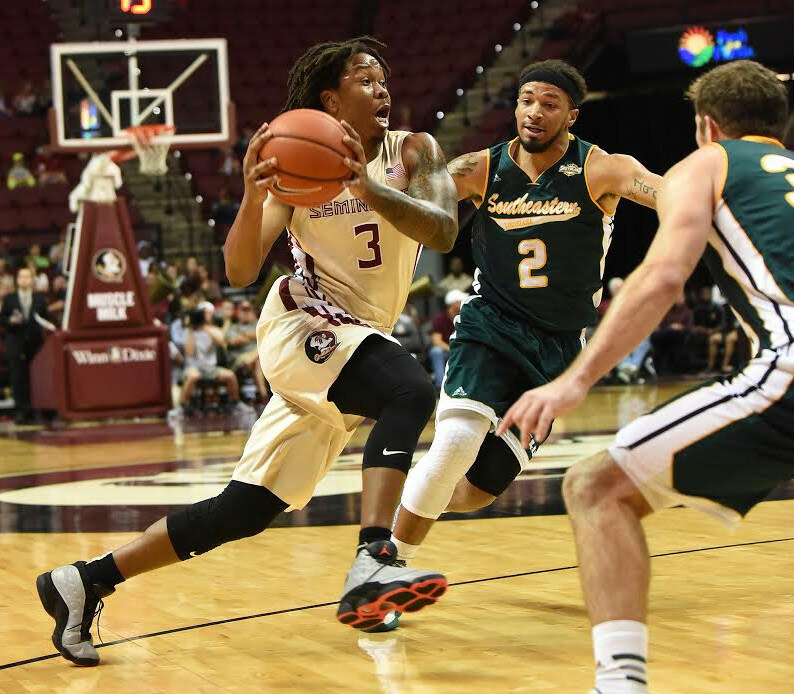 Benji Bell didn’t know what kind of minutes he would get when Florida State faced Southeastern Louisiana on Sunday at the Civic Center. Although he wasn’t one of the first five players that coach Leonard Hamilton put on the floor, Bell knew he had to productively fill the void left by injured starter Devon Bookert. He made quite an impression, scoring a team-high 18 points on a night when the Seminoles got a whopping 41 points from its reserves in a 75-58 victory over the Lions. Bell, who was averaging just over 2 minutes per game, was on the floor for 26 minutes. The former Northwest Florida State College star turned it into his personal showcase with a breakout game that illustrates why he was a JUCO All-American. Bell responded well every time he got an opportunity to shoot from the outside. He nailed all four of his attempts from 3-point range. The Seminoles needed just that before they turned the game into a footrace in which the Lions couldn’t keep pace in the second half. The Seminoles used an 8-1 run to close the first half with a 29-22 lead. After the break, the Seminoles took a methodical approach to breaking down the Lions’ defense. It enabled them to build a double digit lead for the first time in the game on a three-point shot by Xavier Rathan-Mayes with 18:12 to play. FSU finished with 30 points in the paint and forced 16 turnovers by the Lions, despite their 22 of 53 shooting percentage. Most of those points came from Joshua Filmore, who scored a game-high 19 for the Lions. Southeast Louisiana turnovers came at the cost of 24 points for FSU. But contending with Bell was one of the Lions’ biggest challenges. When he wasn’t shooting the ball, he seemingly was able to find an opened man. FSU got a little breathing room in the first half when Bell’s assist set up Phil Cofer for a dunk that put the Seminoles on top 20-16 before having to fight off the last of three ties on Mike Hawkins’ trey. But Bell wasn’t done. He scored his last two 3-pointers during a one-minute span in the final 6:23 of the game.